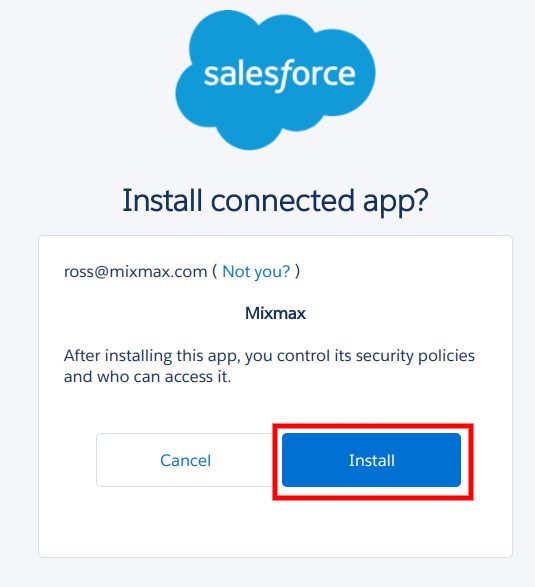 If your Salesforce plan includes API access, you're under your API usage limit, you have connected to Salesforce, and you are still having trouble syncing data with Salesforce, you may need enable the Mixmax app within Salesforce. Depending on your permissions within Salesforce, you may not be able to do this yourself and you may need to ask your Salesforce admin. It may help to share this article with them. 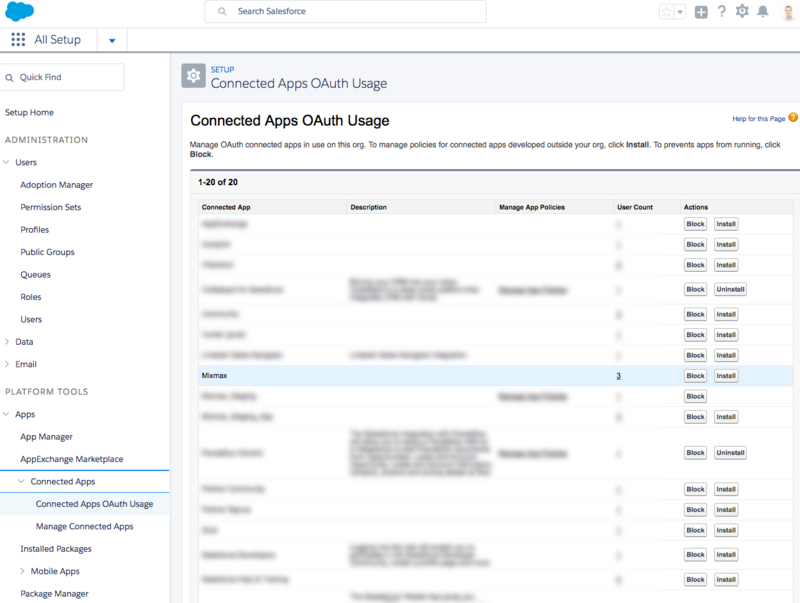 On the Setup page, in the left panel, click Apps, Connected Apps, and then Connected Apps OAuth Usage. Look for Mixmax in the list, and then click Install. 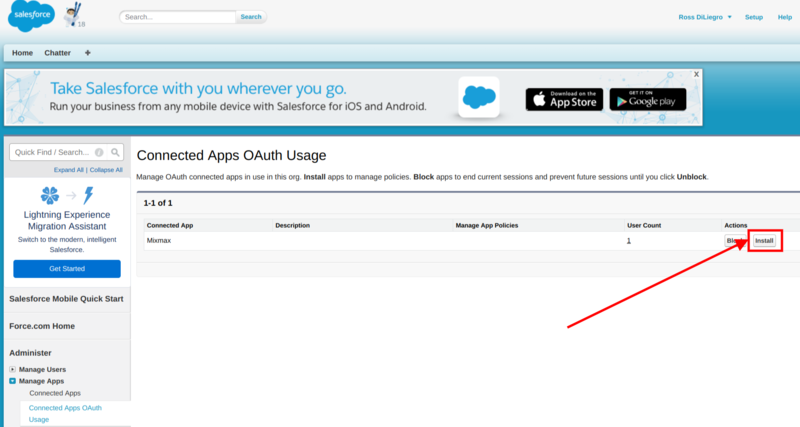 Learn more in this Salesforce support article: Manage the Once Unmanageable OAuth Connected Apps. Next, click the Install button in the window that comes up. After that, you're all set! Salesforce is now connected with your Mixmax account. If you'd like to set up which events sync with Salesforce, you can adjust your settings on the CRM and Team Live Feed area of your Mixmax dashboard, or check out our help center article here.